Makes one to think about spring cleaning : ) And thats neat looking broom, looks like its made of bamboo. Cool drawing/subject, something we usually over look. 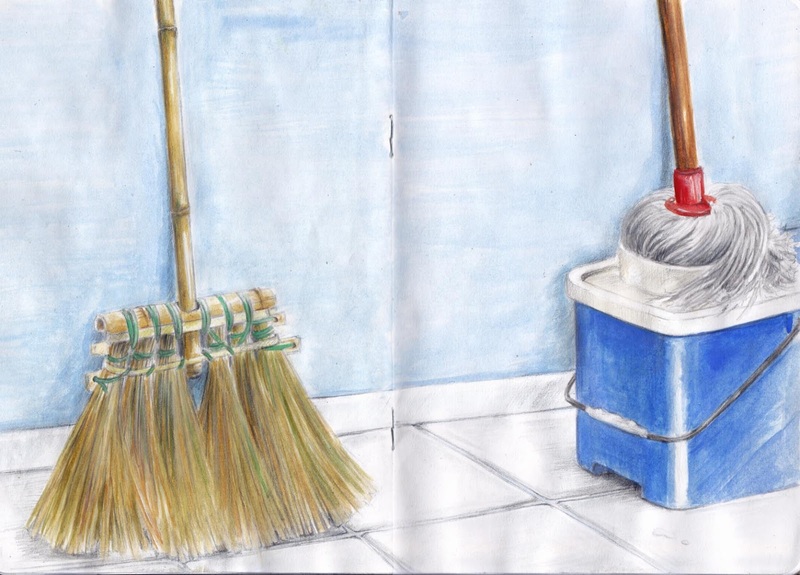 I'd like a broom like that..great sketch. Beautiful and clever! It continues to amaze me how lowly everyday objects become artful still lives. Thrugh the talent of painter. lovely! I like the swirl in the mop the best. I'd like the broom just to look at !